These are the photographs from the 2004 edition of the Pawtuckaway canoe orienteering meet. Before looking at the pictures, go here to read all about the orienteering meet, and see the results. Although we like to think that the canoe orienteering is the main attraction, most of the people who come to Pawtuckaway for the second weekend in September are their for the foot orienteering. 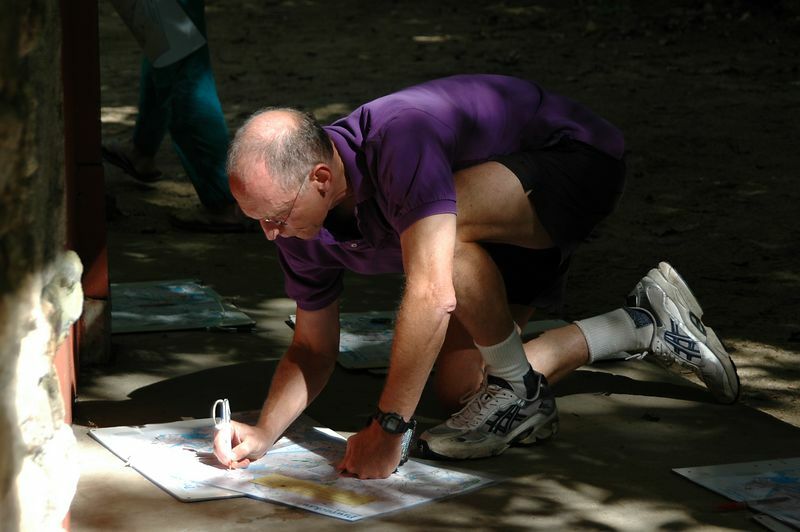 Here is the first of a number of shots of people participating in the foot orienteering. You can easily tell the difference; foot-O racers do not bother to wear life jackets.